This distinctive design sets the Lone Star off to perfection. 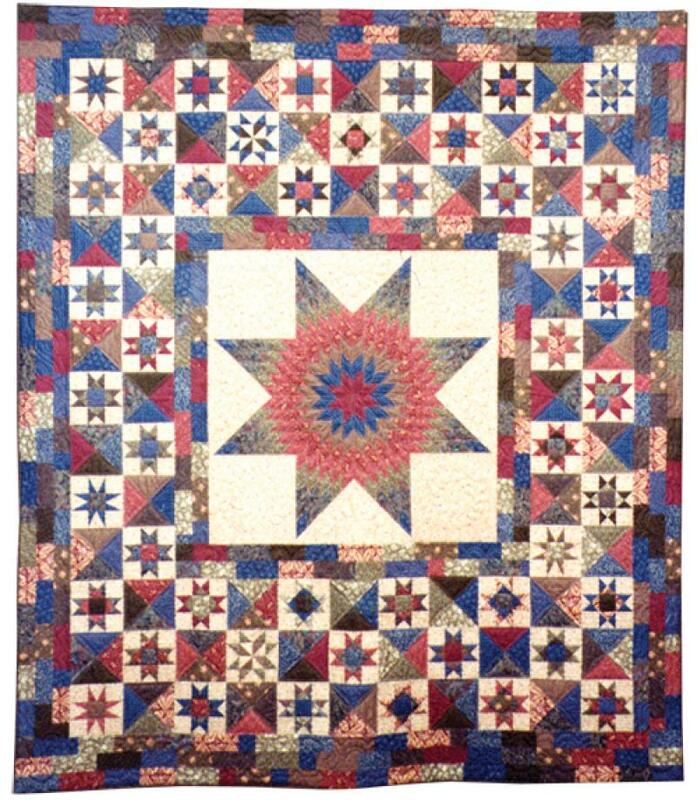 You will create a rotary cut Lone Star and surround it with Ohio Star blocks and quarter-square triangle units. This quilt uses 16 assorted medium-dark to dark prints and one background fabric.